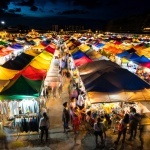 * All fares below were last found on : Apr 18, 2019 8:08:44 AM. Fares are round trip. Fares incl. all fuel surcharges, our service fees and taxes. Displayed fares are based on historical data, are subject to change and cannot be guaranteed at the time of booking. 70% of Montgomery Airport travelers were over the age of 35. 31% of Montgomery Airport travelers were over the age of 60. 4% travelers traveled to MGM with kids under the age of 14. 24% of MGM travelers were millennials. 57% of MGM travelers were female. Travelers spent an average of 6.00 days in Montgomery Airport. 12:00PM - 1:00PM are the busiest hours at MGM. Every week, at least 91 domestic flights and 7 international flights depart from MGM. 107 flights arrive each week at MGM. 107 nonstop flights arrive at MGM each week. The first flight to MGM departs around 7:00AM - 8:00AM. The last flight to MGM departs around 12:00AM - 1:00AM. March was the month with most bookings for MGM airport. June was the month with least bookings for MGM airport. Montgomery Regional Airport is a city owned public airport used for military aviation and general aviation. Operated by the Montgomery Airport Authority, the airport covers an area of 1,907 acres and has a modernized terminal building with all modern amenities. The airlines offering scheduled passenger service to non-stop destinations include American Eagle, US Airways Express operated by PSA Airlines, Delta Connection operated by Pinnacle Airlines and Delta Connection operated by ExpressJet. Book flights to Montgomery Airport (MGM) with CheapOair! In addition to offering competitive airfares to locations most convenient for you, we provide useful information to inform your travel to MGM. Read below to learn more about MGM flights, and count on CheapOair for the best deals on all of your travel booking needs. The airport understands your travel needs, hence offers several rental options including Avis, Budget, Hertz, National, Alamo, Enterprise, Dollar and Thrifty. The Montgomery Area Transit System offers a bus service with buses running at a time interval of 15 minutes. Taxi’s can be obtained from outside the Baggage Claim area, other ground transportation options include Hotel Shuttle and Independent shuttle. Montgomery Regional Airport has a well-designed terminal building equipped with facilities and amenities to make your stay better. The airport is decorated with many food joints, cafeterias, restaurants and bars to take care of your taste buds. From a freshly prepared sub at Subway to gourmet coffees, cappuccino or latte at Montgomery Muggs, you can have it all here. Get a gift wrapped for your loved ones from the Gift shop located in Montgomery Muggs or pass time waiting for your flight in the relaxing atmosphere of the Layover Lounge. Montgomery Regional Airport offers a good number of parking spaces that are available for both long term and short term stays. Parking staff is helpful, efficient and ensure safety of your vehicles, the parking lots are located close to the terminal building. Parking rates at short-term lot ranges from $1 per half-hour up to six hours to $12 daily maximum. Payment can be made via Cash, Credit/Debit Cards or Traveler’s Checks. The airport also offers Valet Parking. Find cheap hotels in Montgomery - Lowest rates for all sorts of Montgomery hotels!